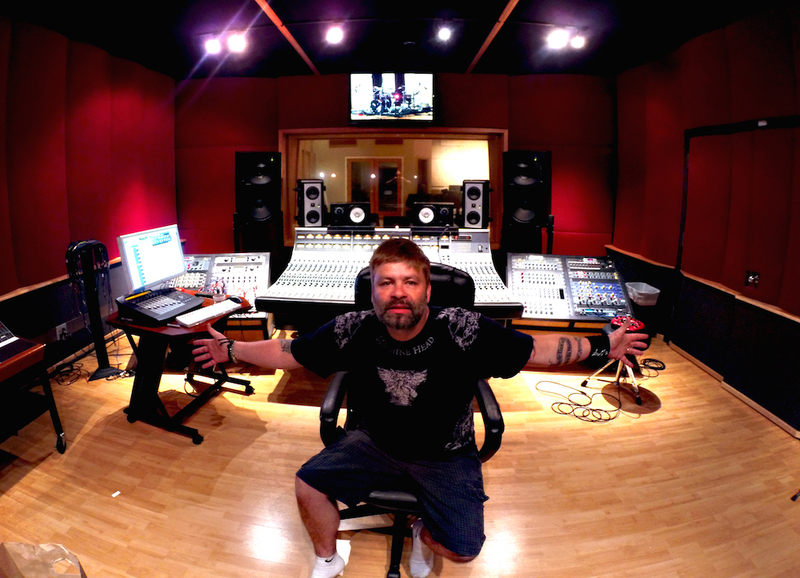 Juan Urteaga started Trident Studios over 20 years ago in Martinez, California. Since then, he has risen to become one of the most highly regarded producers and mixers of heavy metal, working with many legend’s of the genre including Vicious Rumors, Exodus, Testament, Machine Head, Ted Nugent and many more. 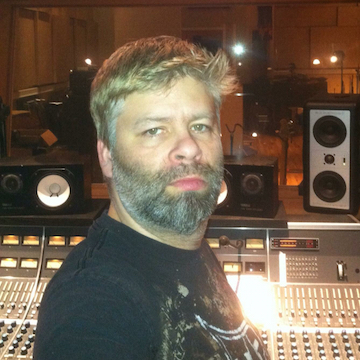 Tell us a bit about how you got into producing and mixing – specifically within rock and heavy metal. Mainly by being a lover of the music. Since I was first introduced to Black Sabbath and Iron Maiden, I fell in love with the genre. I went on a metal rampage collecting all that had anything to do with it - be it the music, videos or magazines. I spent all of my time not only listening to but studying the musical style. Eventually I started a series of bands that ended up developing into my last band, Vile. While recording our first demo, I felt rushed and basically realized that I needed time to make my music sound the way I envisioned. The demos came out weird and I hated them. I could tell the engineer knew nothing about the style or that he even cared. ‘If I only had more time and control’ I thought! To me, this meant having access to a bigger budget than the shoe-string budget we were used to and someone who loved this style running the show. This is when I began buying and acquiring recording equipment and recording us myself from then on. Eventually people started asking me to record them or help produce their bands, which I did - by the hundreds. Then one day I said to myself 'this would be my dream job', so I made it my passion. I just finished work on the highly regarded 'Bloodstones and Diamonds' record by Machine Head. That took the majority of 2014 but now I’m working with Eric Peterson's (from Testament) Dragon Lord, later on M.O.D, Billy Milano’s band, then onto Testament’s new record, which I’ll probably be tracking on. Has the metal scene in the US changed much since the early days? I would say yes. The fans are the same, some a bit older, but the business has definitely changed. I mean, records are like business cards nowadays. Bands have got to tour their asses off to make ends meet. The era of multi-platinum record sales are gone. With all the streaming, Pandora and Spotify, I guess people are content with not having to spend money on cd’s when they can simply download the music instantly. All of this has killed the modern day rock star millionaire! "You would think that rappers would be the main users because of the common technique of doubling and tripling vocals as a special effect. But I listen to all music and when I dig something, I adapt it. I’ve got to say that I love vocal production in hip hop, rap and r&b, so I’ve borrowed from them as I’m sure they’ve borrowed from rock." Has it been satisfying helping a titanic metal band like Machine Head, craft their sound over the years? I came into the picture two records ago and it has been such an amazing experience. I’ve learned a lot from them and I’d like to think that I’ve helped them up their game and become an even more powerful force in the music scene. On ‘Bloodstones’, the last Machine Head record, we did a lot of vocal doubling - more than usual, and I heard about VocALign, so we bought it and I have to say it works amazingly well! Before this, I had to manually line-up vocals which was time consuming and tedious, thus saving us tons of time. You would think that rappers would be the main users because of the common technique of doubling and tripling vocals as a special effect. But I listen to all music and when I dig something, I adapt it. I’ve got to say that I love vocal production in hip hop, rap and r&b, so I’ve borrowed from them as I’m sure they’ve borrowed from rock. Well for starters, they are very user-friendly and streamlined. Unlike other products that don’t really live up to the hype, Synchro Arts products work well. I plan on looking into all of your products but VocALign is the one I always recommend to people. "Study the greats, learn from them, borrow from them and don’t be afraid to experiment." What’s the most valuable piece of advice you would pass on to audio professionals just starting out? I would say study the greats, learn from them, borrow from them and don’t be afraid to experiment. Music is universal. It’s a gift and therefore all genres should have respect because we all borrow and learn from each other. That’s how new styles of music are born. Visit Juan’s Trident Studios website here.